It's finally stopped raining here. I was starting to think the guy who built the ark encounter a few hours up the road wasn't as crazy as I thought he was. When we aren't having monsoon like weather we are outside. This is a drastic change from years past when we never left the house. I am basing the difference this year on the fact that we've added personalization to our space. It only took 2 (almost 3) years. When we lived with Greg (for those that don't know, he is an ex we were together almost 6 years before we called it quits) he had a corn hole game and he liked to be outside doing that. I am not super athletic. I use to be on a swim team and love to swim, but you don't sweat while swimming. I knew that adding yard games was not going to be what got us outside. Even if I did try to tell myself it would be fun when company came over. What I did instead was think about the things we like to do and build on that. So I bought a swing (sadly no porch swing) The dogs think this is just for them and demand to be swung everyday. We added the hot tub which is small enough to fit on my patio and since it is a blow up one, its like a bubbly pool when it gets super hot. If that's what we want. 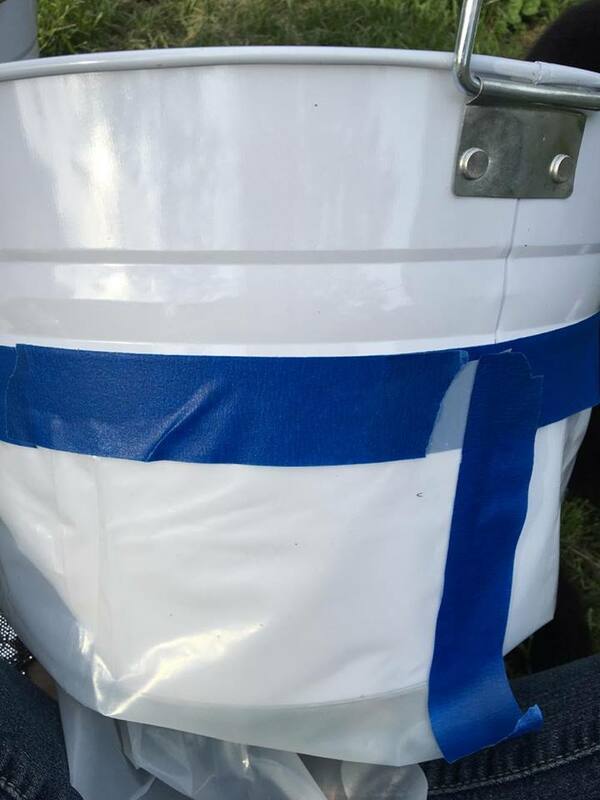 We also added a grill and taught ourselves how to use it. Hannah is the master of this though, and truthfully we need to upgrade to a bigger size. To cap off the days we have a fire pit. I love sitting around the fire at night, its so relaxing. 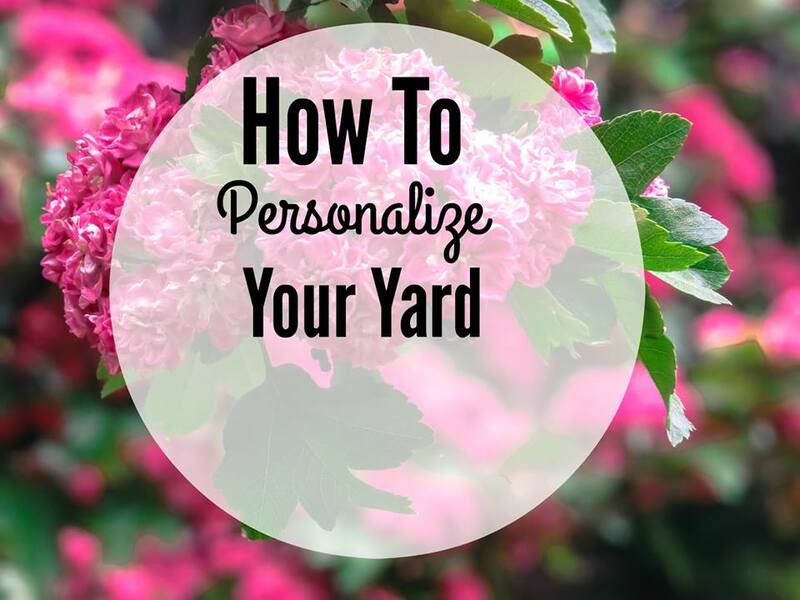 But what give all of this a personalized touch is the items that we've customized. Back in early November I was shopping the Halloween candy sales and came across Star Wars trick or treat buckets. I bought several even though I had no idea what I was going to do with them. 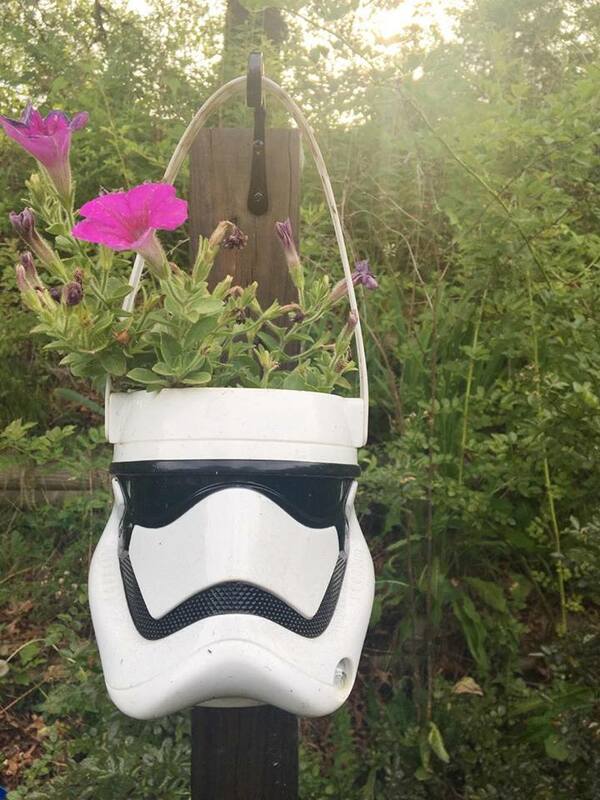 When Spring finally got here I needed some hanging baskets and it hit me that I had these Halloween buckets. 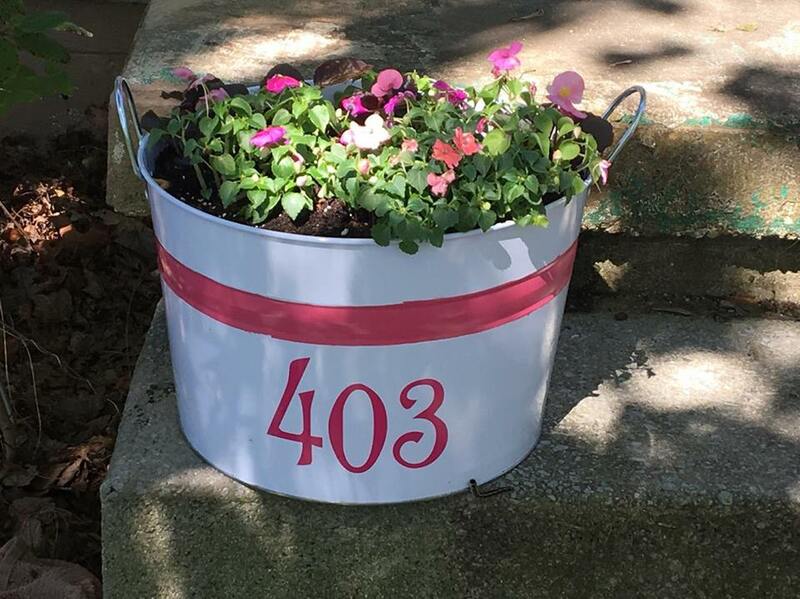 I drilled drainage holes in the buckets and planted flowers inside. 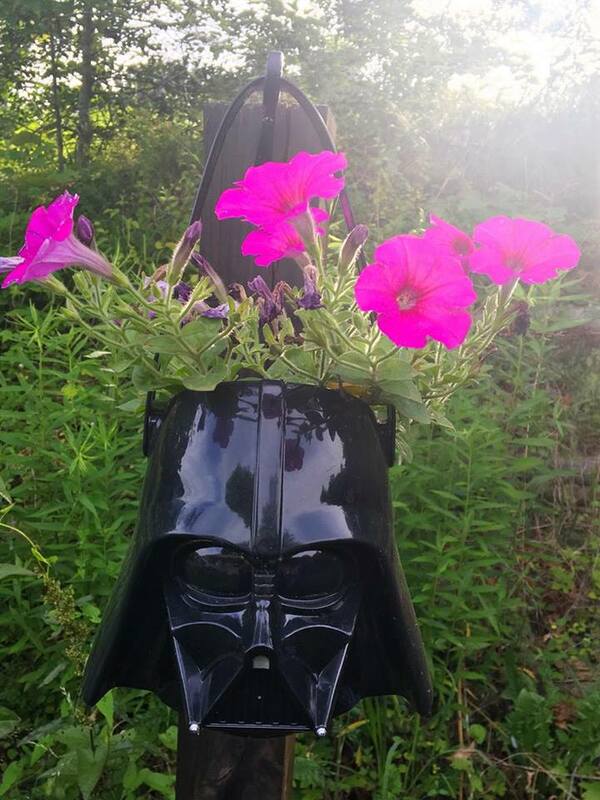 There is something awesome about a Sith Lord with pretty flowers coming out of his head. 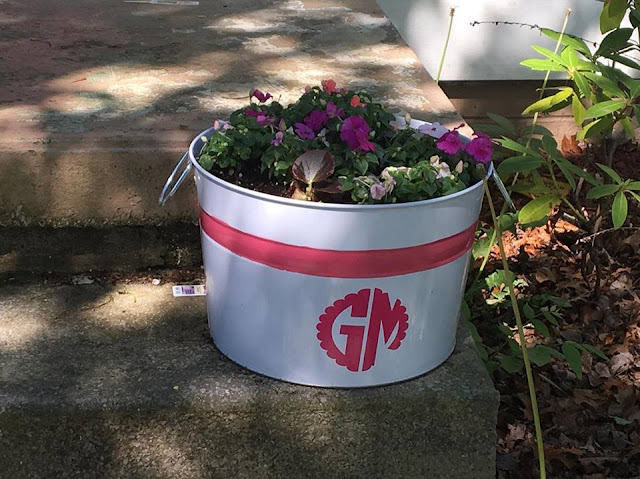 My front stoop had two Milk Churns that I added a monogram of our last names on. I had moved them with me through several moves and was just feeling like I needed something else. I found these metal buckets at a store called 5 Below. There were solid white so I taped them off and painted the pink line around them and added pink vinyl for our house number and last names. I am actually surprised that I have been able to keep any of these flowers alive. Yes Painting the front stoop is on my to-do list. I think its remnants of 5 different colors. Don't be afraid to change the color of something or add to it, spray paint is cheap and comes in tons of colors. Also, re-purposing from other holidays is always fun.